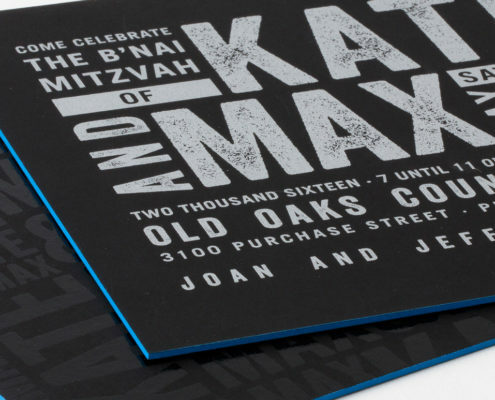 We had fun creating a baseball themed B’Nai Mitvah invitation with E.A.F. 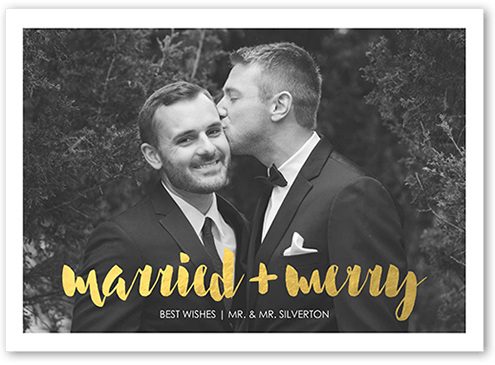 Fine Papers in New York City. 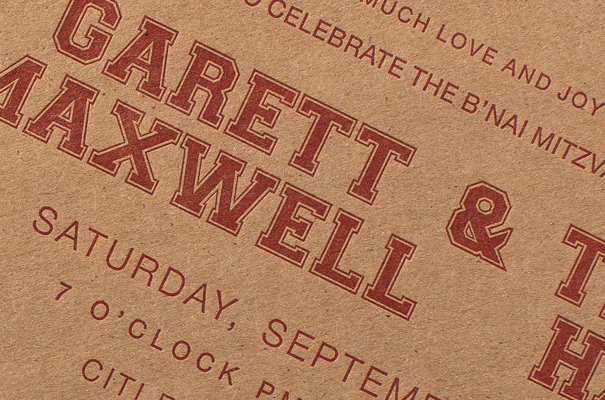 Twins Garett and Trevor picked a true baseball lover’s invitation with vintage style. 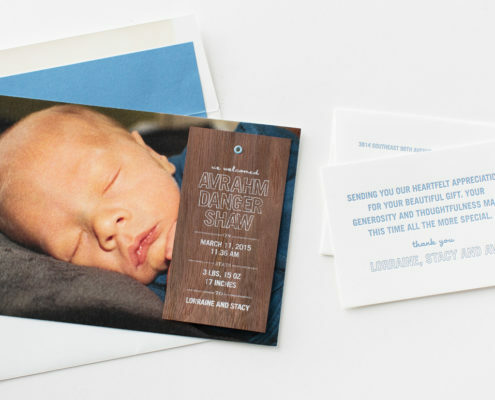 The invitation, return address seal and thank you card are letterpress printed on recycled chipboard in deep red ink. 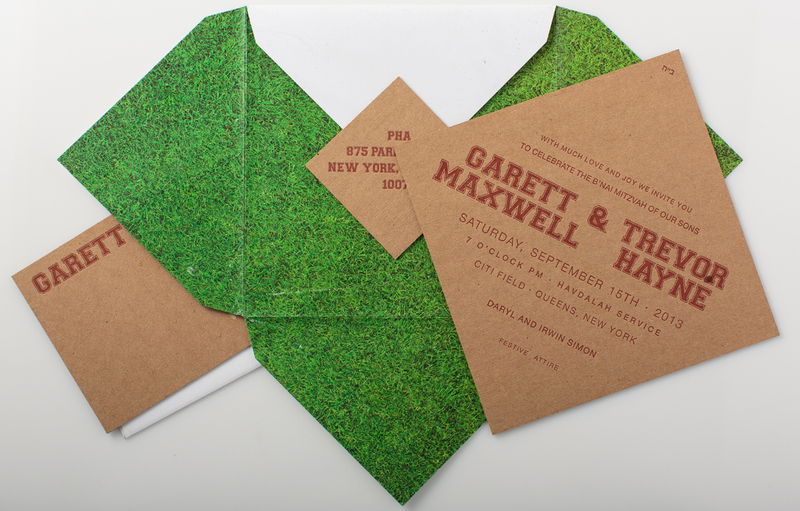 The custom printed grass pattern on the inside of the pouchette suggests a baseball diamond, very fitting for a party held at Citi Field, home of the New York Mets.